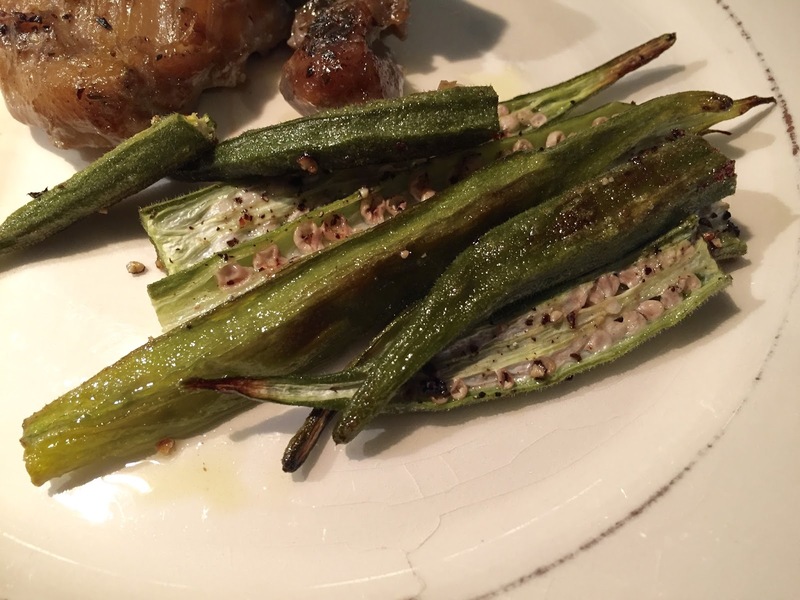 The Gluten Free Connoisseur: Okra Anyone??? Once again Fresh Harvest has introduced me to a new seasonal veggie in my weekly basket and given me the little nug in the right direction on the proper fixins of this interesting looking veggie. 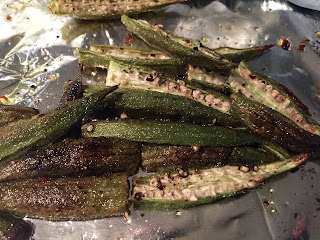 If any of you bake your broccoli in the oven this is basically the same exact process of drizzling with olive oil, sprinkling with salt and pepper and baking until done. Oh so good!